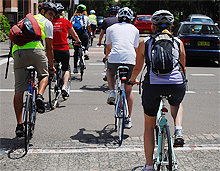 Receiving rave reviews, our excellent cycling courses are proven to give you skills and confidence so you can hit the fast forward to riding in traffic. Designed specifically for the workplace, we offer a variety of cycling services which cover everything from safe cycling to promotional events to fleet management. It’s never too late to learn to ride a bike! From 20 to 77 year olds, we’ve successfully got many people up and riding during our tailored one on one, two-hour sessions. 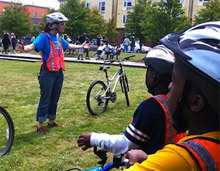 Enjoyable and educational our Junior Cycling Program teaches children safety as well as good Citizenship. 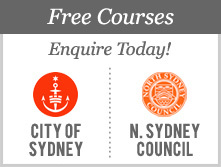 We are the current provider for City of Sydney. 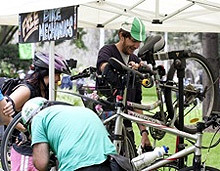 Extremely popular, our bicycle maintenance course gives you all the essential know-how to keep your bike well maintained, safe to ride and feeling like new. 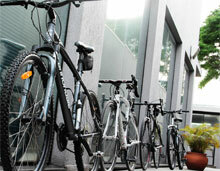 Our mobile mechanic fleet can service bikes anywhere and everywhere. Our expert mechanics on purposefully designed cargo bikes means we just roll in and set up. What’s that noise… my brakes?